The history of Tudor Dairies dates back to the early 1930’s when two brothers Harry & Arthur Fathers, purchased the Henley milk round and small grocers shop from Mrs Hewins, who had been trading under the Tudor Dairies name since 1893. 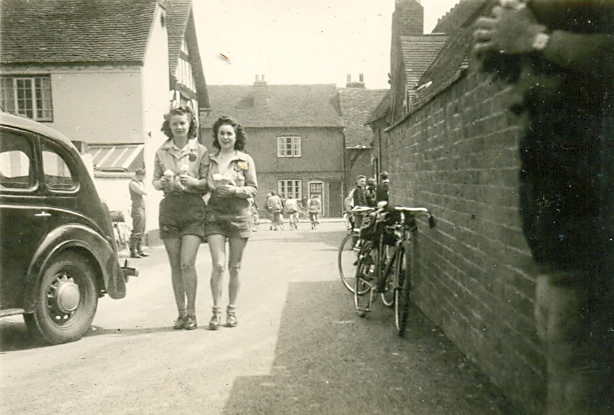 They continued to deliver milk in Henley using left over milk to make cream, which was sold in the shop, with butter being sold in the market behind the Nags Head. In 1934 the brothers began experimenting with ice cream with the “know how” given to them by their mother who used to make ice cream for her shop in Rubery. Originally made by hand the ice cream was sold under the Henley Ice Cream brand. Word soon spread of this delicious ice cream made only with the very best ingredients, culminating in 1937 when Henley Ice Cream won the premier award, being voted the best ice cream in the U.K. The shop became ever more popular as the reputation of the ice cream grew and the shop was transformed into a Ice Cream Parlour. By 1938, the number of customers visiting the parlour brought the traffic in Henley to a standstill, requiring the introduction of a uniformed employee to direct traffic in the High Street. Ice Cream production ceased during the war years due to lack of ingredients, and the parlour was used as an Air Raid Post. After the war ice cream production continued on Wednesdays and Saturdays only, due to the shortage of Cornish cream, so goats milk was used. When Arthur & Harry Fathers retired in 1959, the business was sold to Ross Foods, who changed the emphasis of the Company from a small family run business producing a high quality ice cream, to one of a large concern manufacturing bulk products for the Supermarket chains. In February 1991 the Company changed hands when Ross Foods sold Tudor Dairies to a group of businessmen, but was placed into receivership in March 1997. It was at this time that it was taken back into private ownership by Cindy and Steve Brittan, who have the ice cream made on midlands farms to traditional recipes using only quality ingredients. The business is now run by Cindy Brittan and her Daughter Emily Adams.